Gelish now makes a miniature version of its gel manicure line called Gelish MINI. As a nail stylist I adore anything miniature since I am basically working on tiny paintings during manicure sessions. Best perk is that its available at your local Sally Beauty Supply so you can try these two Art-Deco tutorial’s at home! After the jump I will show you #ProTips on how create the perfect Gelish art manicure that is worth experimenting with. Switch out stones or Gelish MINI colors to truly make your own custom mani. Don’t forget to tag me in your renditions on instagram @astrowifey. 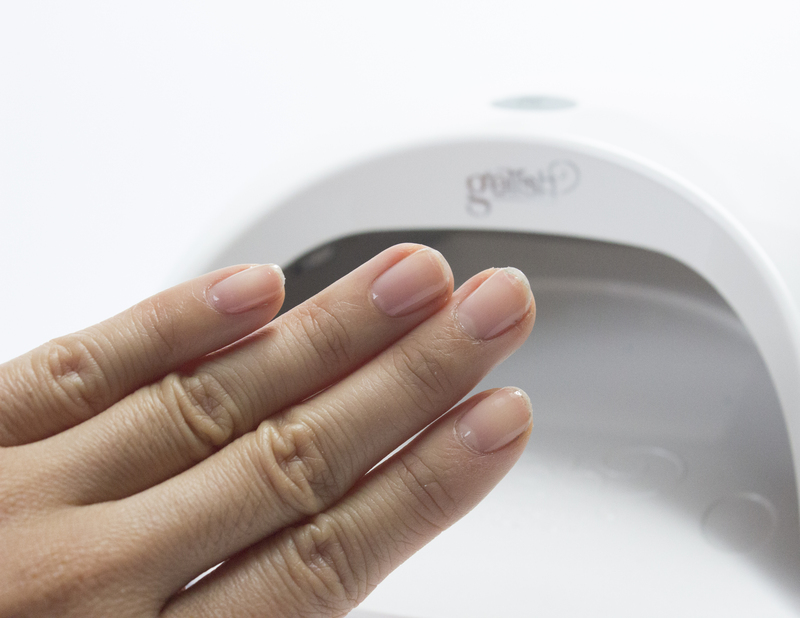 Apply Gelish Foundation to manicured nails and cure in Gelish LED lamp for 45 seconds. 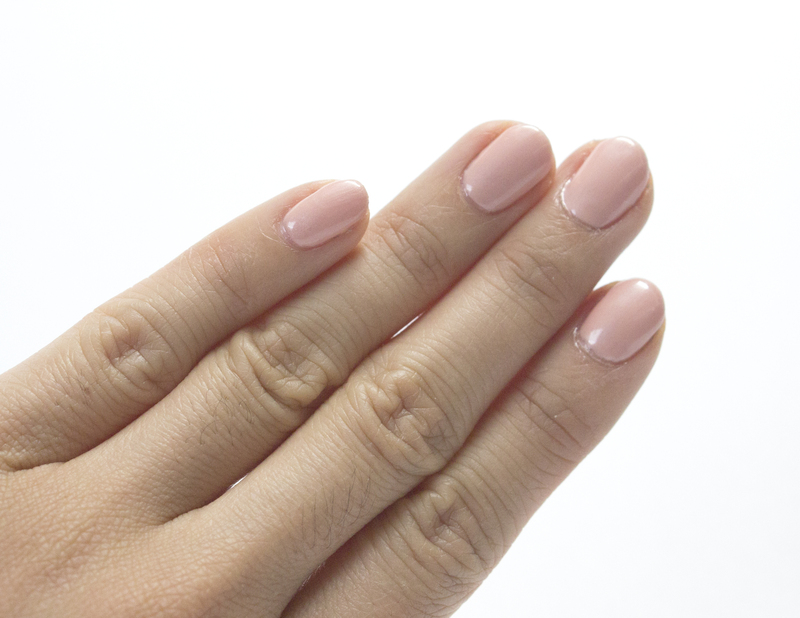 Polish the nails with Gelish mini in “Forever Beauty,” cure in Gelish LED lamp for 45 seconds. Repeat this step for more coverage. Using your striper brush dipped in Gelish Mini’s “Jet Set” paint next to the wave you just created with “Princess Tiara” on each nail and cure in Gelish LED lamp for 45 seconds. #ProTip: Don’t worry if the waves you are painting are not the same thickness, it gives a better effect when the waves taper from a thinner to thicker line as pictured above. Coat the nail in Gelish Mini Top It Off capping the free edge of the nail to prevent chipping and cure for 45 seconds. Remove the tacky layer once cured with Gelish Surface Cleanser, finish with Gelish’s Nourish to finalize the look. Polish the nails with Gelish Mini in “Princess Tiara,” cure in Gelish LED lamp for 45 seconds. Repeat this step if more coverage is needed. Using your striper brush dipped in Gelish Mini’s “Forever Beauty”, paint a straight line down the center of the nail from the cuticle as pictured above on the index finger. This will serve as the middle point of your pyramid. Follow the steps pictured on the middle and ring finger to create the structure for the pyramid. Then completely fill in the structure with “Forever Beauty” once you have an even pyramid outlined. Once you have all fingers with pyramids painted in “Forever Beauty” cure in Gelish LED lamp for 45 seconds. Using your striper brush, apply Gelish Mini in “Jet Set” along the cuticle line tapering smaller up to the side wall of the nail. Cure in Gelish lamp for 45 seconds. Coat the nail in Gelish Mini’s Top It Off capping the free edge of the nail to prevent chipping. Place a single stud above the outlined cuticle in the still wet Top It Off and cure for 45 seconds. 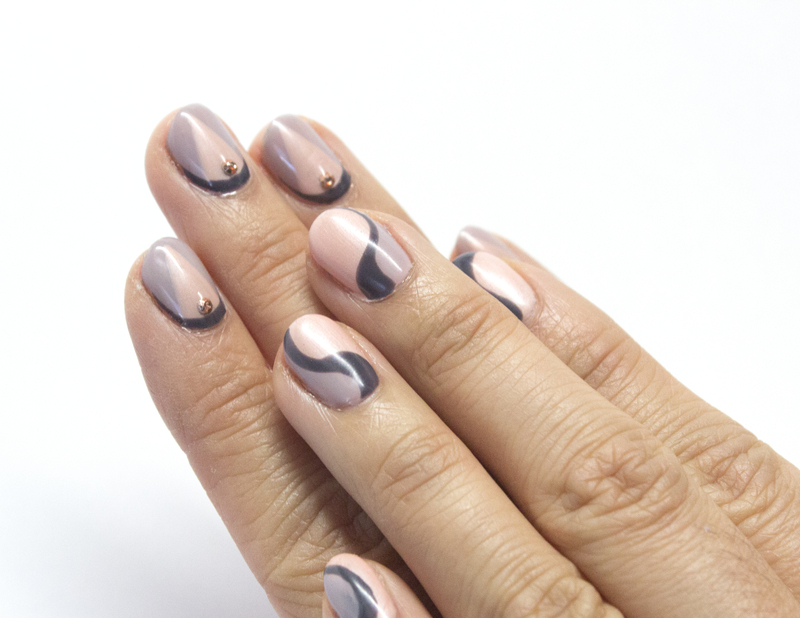 Remove the tacky layer once cured with Gelish Nail Surface Cleanser, finish with Gelish’s Nourish to finalize the look.